So you want to know a little more about us…. we’re glad you asked. We’re not newcomers to the parts business. When we took our business online back in 1995 we were one of the first websites for European car parts. Although we do business in the high-tech world of the internet, we have grown our business the old-fashioned way by providing quality, value and service, one customer at a time. Over that time we have learned what it takes to sell parts online, and how to provide the service to back up those sales. To us, car parts are not just a product to sell. Getting you the right part can be very complex, and that is what fascinates us, what drives us. Getting it right is what we strive for. Our company was started by enthusiasts out of a passion for European cars. We’ve grown over the years but one thing hasn’t changed – we still have the passion. 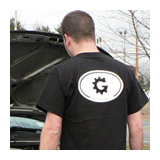 We love European cars, we turn our own wrenches, and we use the parts we sell in our own cars. We get excited when new parts are available and new products arrive. We might as well face it, we’re parts geeks. 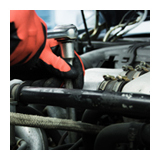 Our goal is to offer the best selection of quality parts at affordable prices. Often there are many manufacturers of a given part, and sometimes the quality and pricing varies widely. We sort out the good from the bad so you don’t have to, and we offer the best value possible. If we wouldn’t put a product on our own cars we won’t sell it. Ultimately, we’re here to serve you. This sounds simple, but many companies seem to have lost sight of that. Our goal is to save you money (often a lot of money) on top quality parts, to get them to you quickly, and to back it up with exceptional service. We try very hard to get it right. Things almost always go smoothly, but on rare occasions something goes wrong rest assured we’ll be there for you. We’re in this for the long haul, not the quick sale – we’ve been around a long time and have built a reputation on integrity and service. We want you to be comfortable purchasing from us, knowing we’re a company that you can trust and a company that will go the extra mile for you. Thanks for letting us blow our own horn. We hope that this answers any questions you may have, if not feel free to contact us, we’d love to hear from you.